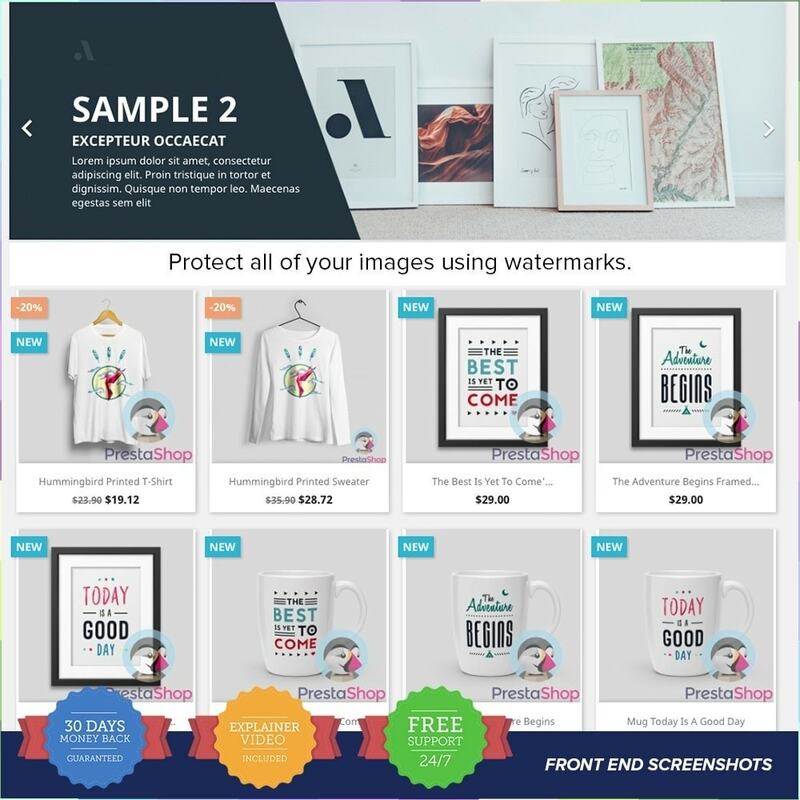 Protect your images from being stolen and used by other users by adding a watermark on them, with your logo, name or other custom image. 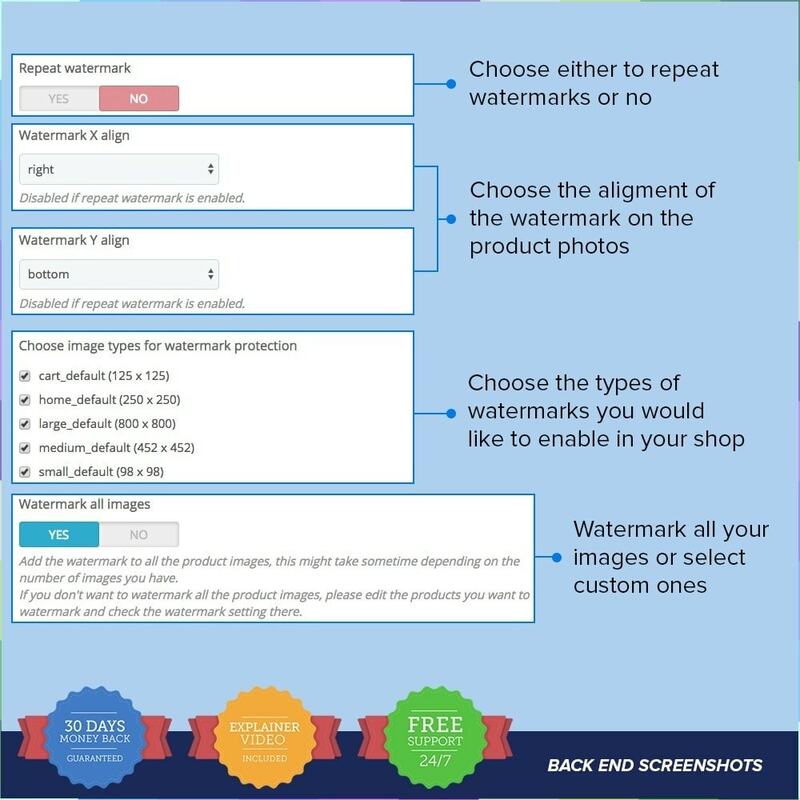 You can choose between marking all your images or just some of them. The watermark can't be removed! You can set up it's position and dimensions/opacity on the photo. 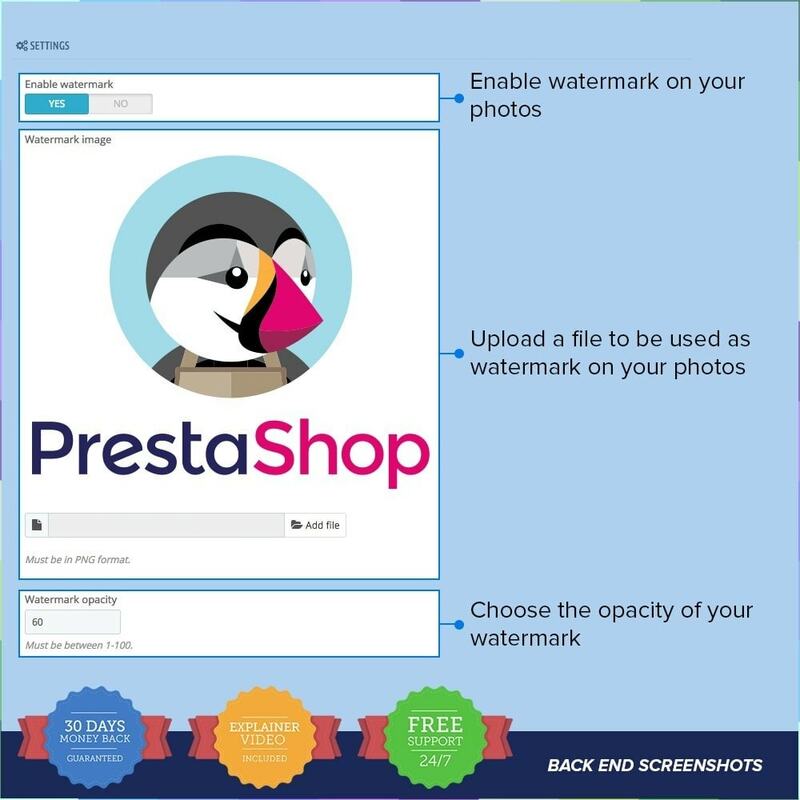 Your clients will be able to identify your shop by viewing your images in another shops. 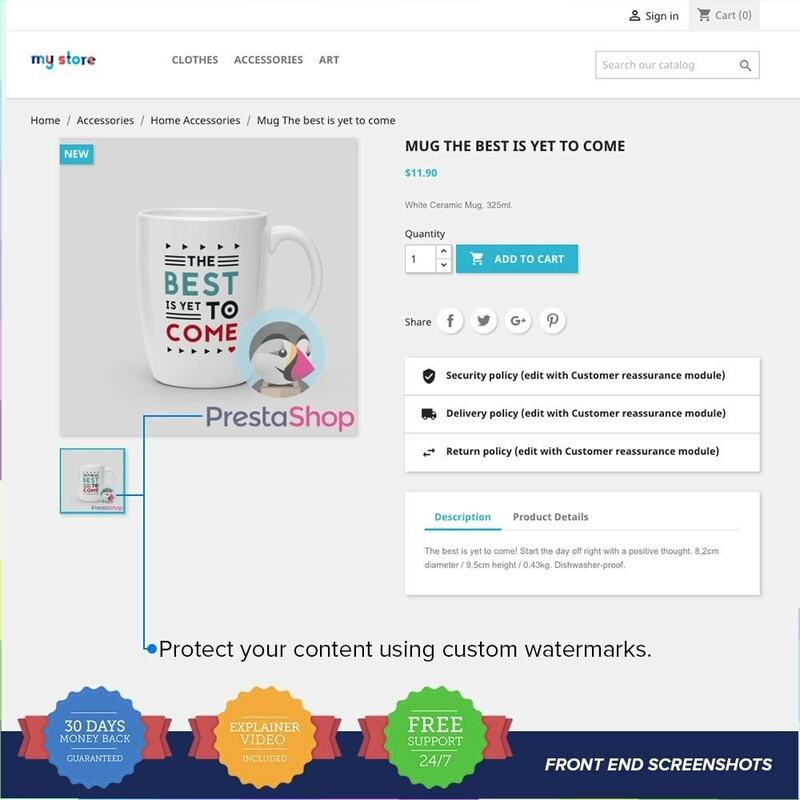 Also they will e sure that your shop is the original shop for this products.